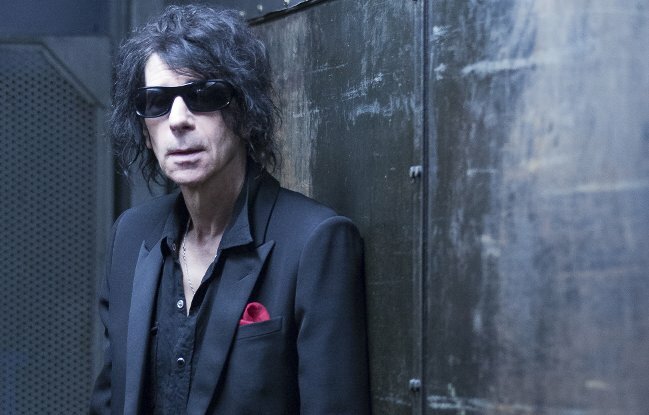 Listening to Peter Wolf's new album A Cure for Loneliness might leave you thinking Wolf is in the midst of a full-blown existential crisis. Wolf turned 70 earlier this year and in the track Peace of Mind he laments, "Now I'm not a young man and I don't know what song to sing." Despite his protestations, he's clearly at the top of his musical game. A Cure for Loneliness is a richly textured journey across genres, with Wolf simultaneously traveling through his musical influences and exploring his place in the larger scheme of life. The result is a musical declaration that, after some 50 years of writing and performing, Wolf is at peace with his place in the world. If an artist can make a coming of age album at 70, this is surely it. A Cure for Loneliness doesn't fit neatly inside of a single genre. Rootsy would probably be as close to a one word description as there is, which is fitting considering the fact that Wolf ventures through his own musical roots on the album. Joining Wolf on the album are members of his touring band the Midnight Travelers: guitarists Duke Levine and Kevin Barry, bassist Marty Ballou, drummers Tom Arey and Shawn Pelton. Long-time collaborator Kenny White handles keyboards and co-produced the album with Wolf. The instrumentation and production on the album are terrific. With high-caliber musicians and material to work with, Wolf wisely resisted the temptation to over-produce the album, relying instead on just enough acoustical layers to fill up the soundscape while keeping the songs from sounding sparse and empty. Wolf's vocals are immediately familiar to fans of the J. Geils Band, but are more laid back and at ease than his vocal work fronting Geils. Indeed, the vocals reflect Wolf's ease with himself and his material. His harp provides a wonderful harmonic (pun intended) and melodic addition to the music that could easily be mistaken for an accordion. The album kicks off with Rolling On, a bold statement about the direction of Wolf's life and the album itself: "I've got miles on this heart / But I've never been afraid to start / Cut it loose and set it free / Straight from here to eternity." Peace of Mind is laid back, reflective and will have you humming along and singing by the time the second chorus rolls around. Fun For Awhile also has Wolf looking inward and contains some great lap steel from Kevin Barry. Wolf's production style definitely leans toward capturing a live sound, favoring removing the distance between such personal material and the listener. Wolf favors this style so much that he had no qualms about putting two live tracks on what is otherwise a studio album, Wastin' Time and the J. Geils Band staple Love Stinks, which is presented in an acoustic, bluegrass-tinged version with some smokin' mandolin from Duke Levine. It's Raining is a track that Wolf co-wrote with R&B icon Don Covay (Mercy, Mercy; Chain of Fools; See Saw) and is on the album as a tribute to Covay, who died last year. Covay's influence on Wolf is hard to overstate and Wolf wrote a touching piece looking back at Covay in Rolling Stone. Bobby Womack was to originally slated to join Wolf on the track, but died before the two could lay down the vocals. Wolf is currently touring in support of the album and has said that a West Coast swing is in the works, perhaps for this fall. When he does hit the area, we'll let you know and I can guarantee Wolf will know exactly what to sing. UPDATE: July 9, 2016. As expected, Wolf now has a Portland date! Woo hoo!! He'll be at the Aladdin Theater on Tuesday, Augst 9.